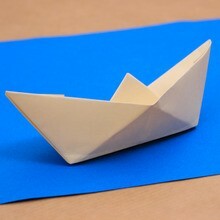 In this video, we will teach you how to quickly and simply create an origami: boat. Fold you sheet of paper into four (twice across its width), then open the second fold. On the folded side, fold the two corners along the second fold. Fold up the two long rectangles left (one on each side of the origami). Fold the edges of one of these rectangles behind the triangle. 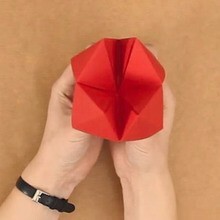 Now you can open the origami from the bottom. Pull the front and the back and flatten. You get a square. Fold up the two loose edges on each side to obtain a triangle. Open again the origami by pulling the front and the back and flatten. You get a square again. Now you can pull on each upper side of the origami. Flatten and there your are, it's a boat! 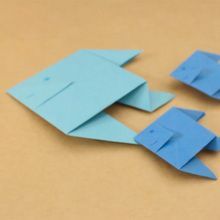 This origami is very simple to make and well-known, it's a classic!